Straight outta Denver,C.O. Lyrical LandLordz bring the High Powered Hip Hop to the masses! This mighty force includes MCs: Sonny Nuke,DENT & DJ Paulen. These products of the BoomBap released their first project in 2016 ‘Boom Bap Bodega’ & have been makin noise in the underground circuit for quite some time now. Veteran MCs, Nuke&DENT are strongholds in their Denver MC Community, & are always pushing out DOPE Music & inspiring other’s. Evicting ALL Wack MCs and bringing Rawness back into the game! Skills over Politics is there motto! 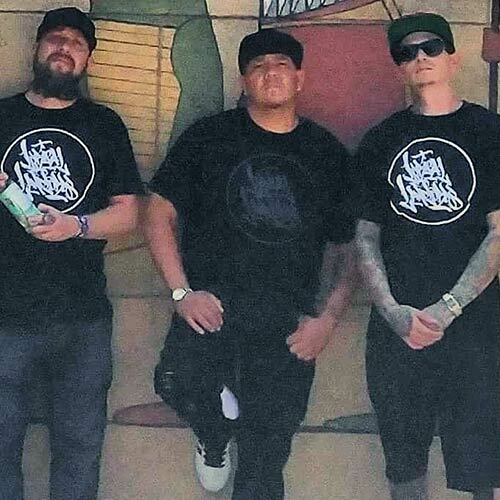 This Crew is preserving the ART of The MC and carrying on tradition of the culture. DOPE Beats,DOPE Rhymes! The L.L.s came to shine! Also members of The L.O.F Crew, Mad Writer’s & BuddahPest, they hold it down for their crew’s. They crushed the stage last year for B-Boy Summit 2017. They are back with another Action Packed Set! Yall are in for a Treat! Get Ready!!! Lyrical LandLordz Rock The Spot! EeeRrrAaaaHhhh!! !